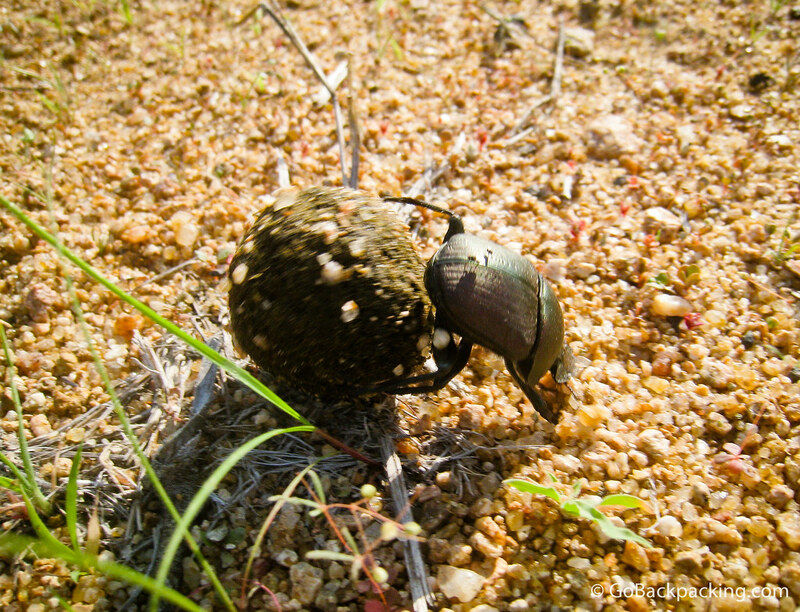 On safari in South Africa, I learned to appreciate the small critters that abound, like this hard working flightless dung beetle. A flightless dung beetle is hard at work, pushing a ball of elephant dung toward its underground lair. some things will cease to be amusing, dung beetles are one of them. Did you mean “never cease to be amusing” because I can agree to that. What else would cause a bunch of travelers to stand over fresh heaps of elephant dung? Haha I love these little creatures! I have a few photos of me and other travelers standing, mesmerized, over giant piles of elephant poop. Only in Africa!